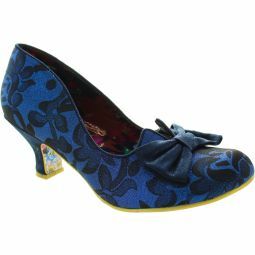 Classic velvet touch and a dash of rouge you will be the ultimate 40's siren in these vintage inspired mid heels. 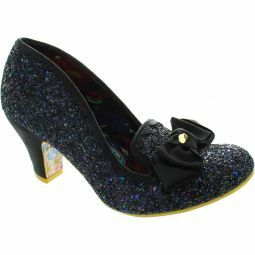 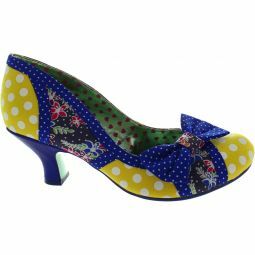 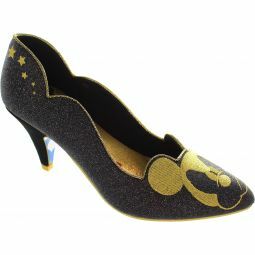 Floral and polka dot fabric upper with a velvet trim and bow and comfortable mid heel. 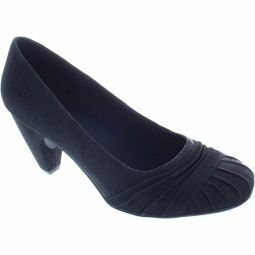 6cm (2 1/2 inch) heels.